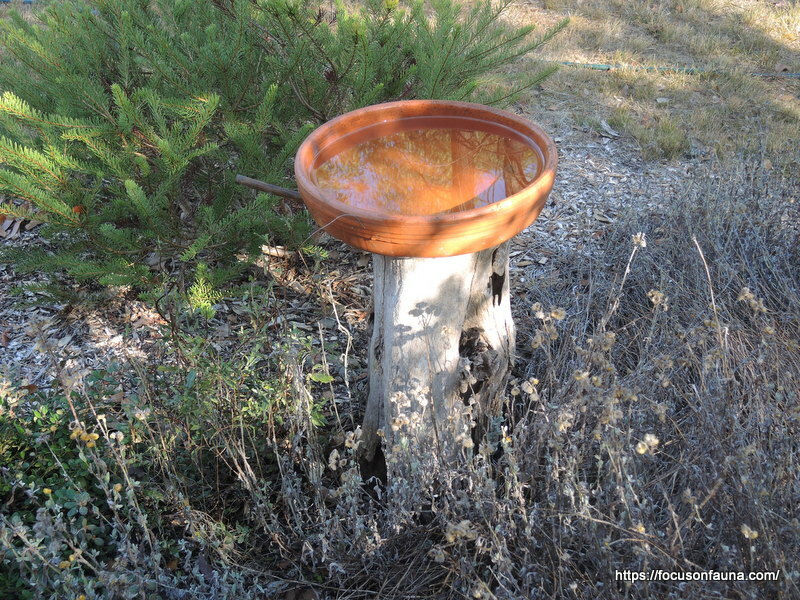 One of our many bird baths in the garden sits on a rotting stump – a remnant of a former Silky Oak tree, Grevillea robusta. 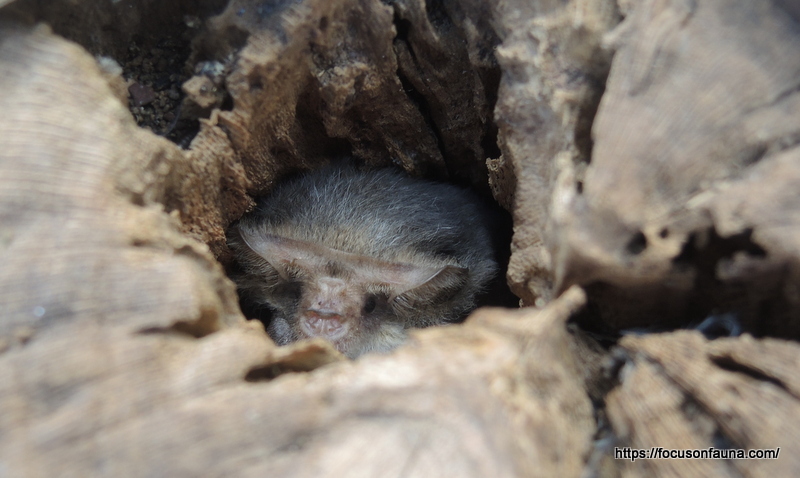 We try to clean and refill the bath (pictured below) on a regular basis, and removing it for cleaning has lately revealed that the hollow centre of the stump is providing a great resting spot during the day for what looks like a little Lesser Long-eared Bat, Nyctophilus geoffroyi. When we checked last week there was also another regular visitor, a Huntsman spider, sitting underneath the earthenware bowl. The spider, in a panic, scurried around the top of the stump then promptly ducked down into the central hollow next to the sleepy bat and disappeared into one of the many cracks in the wood – too fast for our arachnophobic photographer! Since then the bat is still using the hollow, but the spider is nowhere to be seen. 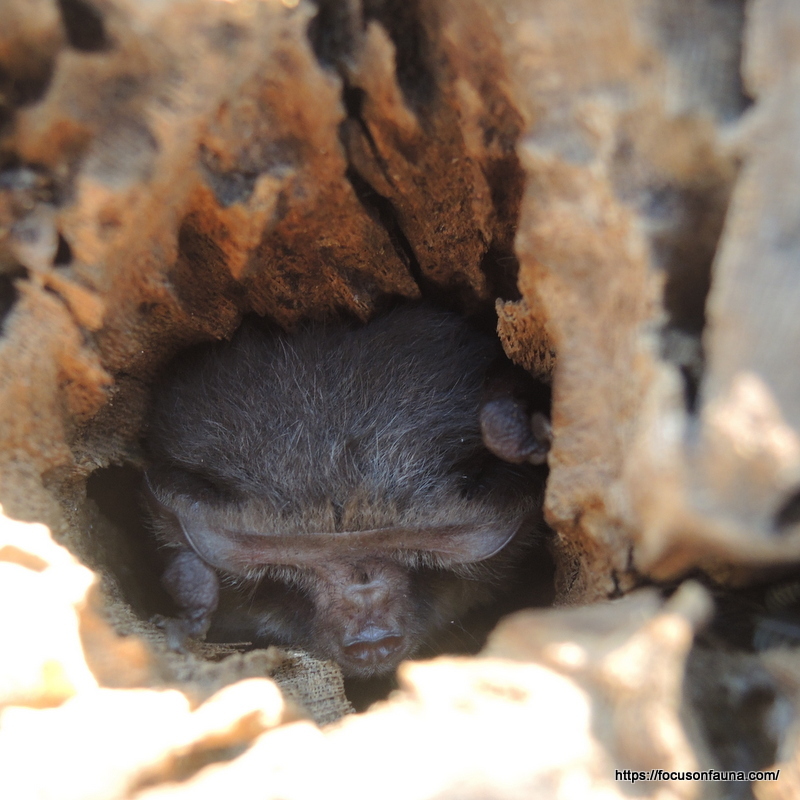 We can but wonder – did it make a convenient meal for the opportunistic bat? !